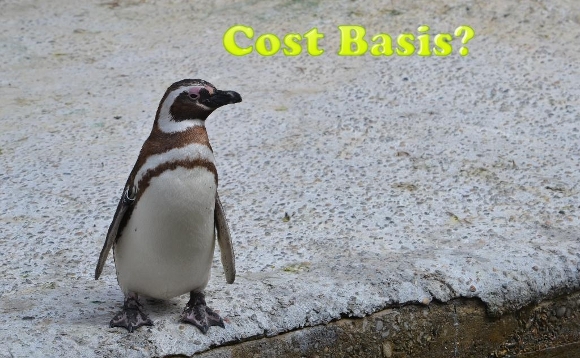 What is Cost Basis? Let us manage the data, so you can manage the money. You are here: Home / Cost Basis / What is Cost Basis? Since the increased federal regulation of 2008, PortfolioCenter users spend more time tracking and reconciling cost basis. If you are new to PortfolioCenter and confused about the terms, here’s a refresher course. The Internal Revenue Service not only requires US citizens to pay an increasingly hefty percent of their income in taxes, it requires increasingly detailed record keeping. While IRS employees may get away with claiming “the dog ate my tax receipts and my computer crashed,” the rest of us need a paper trail. 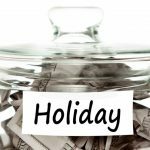 Primarily you need to be able to compute the cost basis of a stock and determine its acquisition date. Cost Basis — or simply “basis” — is the number from which you compute your profit or loss. If your stock has a basis of $1000 and you sell it at $5000, you have a $4000 profit. If you sell it at $500, you have a $500 loss. Cost Basis begins as the cost of the purchase including all fees but can be adjusted by corporate actions such as splits, spinoffs and mergers. In addition to the basis, investors need to know how long they held the stock. The Date Acquired is the point from which the holding period is measured. Currently stocks held over 12 months are taxed at a lower rate than stocks held less than 12 months. Typically the Date Acquired is the date you originally purchased the position. But if the stock resulted from a spinoff, the Date Acquired of the new stock becomes the date acquired of the original stock. Finally, investors need to know the basis and date acquired for each lot of a stock they hold. Each purchase represents a “lot.” If you buy a stock one a month for 3 months or you reinvest dividends, you need to track the basis and acquisition date of each purchase separately. When you sell the stock, you need to know which lots you sold and which lots you kept. Computing cost basis can involve some complex math. Fortunately, PortfolioCenter does the math for you if you give it complete and accurate data. Create a receipt with accurate cost basis and date acquired for each trade lot when a position is transferred into an account. Use the account transfer wizard to move the cost basis with positions that move between existing accounts. Pay attention to corporate actions (e.g. splits, spinoffs and mergers) and update cost basis accordingly. Create a system to quickly and easily identify positions with missing or inaccurate cost basis. Reconcile cost basis with your broker regularly. How often depends on the types of trading you do and investments you hold, but as rule of thumb, weekly cost basis reconciliation is a minimum. Don’t assume it will all take care of itself. While your broker is most likely the System of Record, using PortfolioCenter gives you a powerful way to track all the information necessary to help your clients compute what taxes they owe and it gives you the ability to plan ahead to minimize the taxes caused by your trading. The more tax efficient planning and trading is integral to your services, the more you need to pay to cost basis.